There are many global initiatives that provide information, resources and tools for practitioners at protected areas. Due to the nature of these initiatives, they tend to be broad-scale and do not necessarily hold information about many of the smaller protected areas such as those in the Pacific where many protected areas fall under local indigenous conservation and management. However, some of these global networks and partnerships provide practitioners with tools that can be adapted for use anywhere. You may also find that there are training, funding and other opportunities that can help you with efforts in your own location. Below are descriptions of some global protected area networks and partnerships providing information and support to practitioners around the world. There are also a large number of other networks and partnerships that can provide conservation and technical assistance in various forms. Formed in 2000 and launched globally in 2005, the Alliance for Zero Extinction(AZE) engages 88 non-governmental biodiversity conservation organizations working to prevent species extinctions by identifying and safeguarding the places where species evaluated to be Endangered or Critically Endangered under IUCN-World Conservation Union criteria are restricted to single remaining sites. The map below shows 587 sites for 920 species of mammals, birds, amphibians, reptiles, conifers, and reef-building corals, providing a tool to defend against many of the most predictable species losses. Established in 2010, Big Ocean is a network of managers and partners of existing and proposed large-scale marine managed areas (MMAs). The network aims to improve the effectiveness of management efforts, to serve as a peer learning resource and support system, and to build the professional standards of practice for this emerging genre of marine conservation. Birdlife International Pacific is a partnership of independent organisations working together as one for nature and people. We create action through insight. Through our expertise on birds we act for nature and people. Through sharing local challenges we find lasting global solutions. Birdlife International is active in more than 120 countries worldwide. CITES is an international agreement between governments. Its aim is to ensure that international trade in specimens of wild animals and plants does not threaten their survival. CPF promotes sustainable management of all types of forests and strengthens long-term political commitment to this end. Marine Areas Beyond National Jurisdiction (ABNJ) are those areas of ocean for which no one nation has sole responsibility for management. They are the common oceans that make up 40% of the surface of our planet, comprising 64% of the surface of the oceans and nearly 95% of its volume. The ABNJ comprise the high seas and the seabed beyond the (extended) continental shelf of coastal States and include complex ecosystems at vast distances from coasts, making sustainable management of fisheries resources and biodiversity conservation in those areas difficult and challenging. This compendium of guidance provides details of information sources for capturing, managing, using, and sharing data, all in the context of biodiversity and ecosystem services. The primary aim of this document is to assist the staff of national governments and non-governmental organisations who are responsible for the capture, management and use of data and information with respect to the biodiversity-related conventions. This compendium in particular aims to support efforts towards improving the coordination of data and information systems to help governments maximise cost effectiveness when reporting on different biodiversity-related conventions. The purpose of the document is to help increase access to existing guidance material on synergies among biodiversity-related conventions and to provide a basis for identifying gaps in the available guidance. As such, this report and any future online resources derived from it are primarily intended for informing the national focal points and management authorities responsible for the implementation of biodiversity-related conventions at the national level. Additionally, this can be of use to focal points of related conventions (e.g. regional biodiversity conventions) and other stakeholders. This compendium is a compilation of available global databases. It provides a basis for increasing access to these databases through the CBD Clearing-House Mechanism and other appropriate tools, and is intended to direct Convention Parties to data and information that can inform the effective implementation of the conventions. As a next step it is intended to make this document a living document and therefore to update it when additional material becomes available and to turn the information into a searchable database online. The Conservation Measures Partnership (CMP) is a partnership of conservation organizations that seek better ways to design, manage, and measure the impacts of their conservation actions. CMP members work together on issues related to impact assessment and accountability because collectively we have a greater chance of designing and implementing effective monitoring and evaluation systems and ultimately, enhancing program and project design and implementation. CMP strives to promote innovation in monitoring and evaluation of conservation efforts, serving as a catalyst within the conservation community. As an environmental treaty under the aegis of the United Nations Environment Programme, CMS provides a global platform for the conservation and sustainable use of migratory animals and their habitats. CMS brings together the States through which migratory animals pass, the Range States, and lays the legal foundation for internationally coordinated conservation measures throughout a migratory range. The Deutsche Gesellschaft für Internationale Zusammenarbeit GmbH or GIZ in short is a German development agency headquartered in Bonn and Eschborn that provides services in the field of international development cooperation. Future Earth Coasts is the new name for the longstanding Land Ocean Interactions in the Coastal Zone (LOICZ) project. The Global Biodiversity Information Facility (GBIF) is an international open data infrastructure, funded by governments. The GCRMN works through a global network of stakeholders to support the management and conservation of coral reefs. The Global Environment Facility (GEF) was established on the eve of the 1992 Rio Earth Summit, to help tackle our planet’s most pressing environmental problems. Since then, the GEF has provided $14.5 billion in grants and mobilized $75.4 billion in additional financing for almost 4,000 projects. The GEF has become an international partnership of 183 countries, international institutions, civil society organizations, and private sector to address global environmental issues. Promoting action for island conservation and sustainable livelihoods by inspiring leadership, catalyzing commitments and facilitating collaboration among all islands. What is the Global Partnership on Marine Litter ? Litter is found in all the world's oceans and seas, even in remote areas far from human contact and obvious sources of the problem. The continuous growth in the amount of solid waste thrown away, and the very slow rate of degradation of most items, are together leading to a gradual increase in marine litter found at sea, on the sea floor and coastal shores. It is an economic, environmental, human health and aesthetic problem posing a complex and multi-dimensional challenge. The Global Programme of Action for the Protection of the Marine Environment from Land-based Activities (GPA) is the only global intergovernmental mechanism directly addressing the connectivity between terrestrial, freshwater, coastal and marine ecosystems. GPA aims to be a source of conceptual and practical guidance to be drawn upon by national and/or regional authorities for devising and implementing sustained action to prevent, reduce, control and/or eliminate marine degradation from land-based activities. The Global Strategy for the Conservation of Sharks and Rays (2015–2025) is the product of an intensive 18-month strategic planning process incorporating extensive data analysis and synthesis, including a set of background documents, several technical workshops, and ongoing consultation and review. The Global Transboundary Conservation Network brings together more than 200 experts in transboundary conservation. The network was launched at the Vth International Union for the Conservation of Nature (IUCN) World Parks Congress and is facilitated by the Transboundary Conservation Specialist Group of IUCN's World Commision for Protected Areas (WCPA). Our Environmental Conservation Program balances long-term conservation with sustainable use. We protect critical ecosystems. We establish models for collaboration that can be replicated and expanded around the globe. And we seek to create lasting change in how land, freshwater and coastal marine ecosystems are managed. Climate change is the defining challenge of our time. The human impact on our planet is unprecedented. Long-term changes in the earth’s climate system are significant. The Green Climate Fund was established with a mission to advance the goal of keeping the temperature increase on our home planet below 2 degrees Celsius. The High Seas Alliance is a cooperative initiative of groups and organizations concerned with protecting the high seas — the regions of the world's ocean that are beyond national jurisdiction. Our mission is to conserve the world's high seas - which cover half of our planet. Our work focuses on valuing and conserving nature, ensuring effective and equitable governance of its use, and deploying nature-based solutions to global challenges in climate, food and development. IUCN supports scientific research, manages field projects all over the world, and brings governments, NGOs, the UN and companies together to develop policy, laws and best practice. The ICCA Consortium (established at a gathering during the 4th World Conservation Congress in 2008) is an international association dedicated to promoting the appropriate recognition of and support to ICCAs (Indigenous Peoples’ and Community Conserved Areas and Territories) in the regional, national and global arena. The UN Environment Programme (UNEP) has expanded access to information on multilateral environmental agreements (MEAs) through the online portal, InforMEA, which houses information on more than 60 treaties, 10,000 conference of the parties (COP) decisions, 5,000 national reports, 500 national plans, 3,700 national contacts, 3,000 websites and over 500 searchable terms. IFRECOR is an informal partnership among nations and organizations which strives to preserve coral reefs and related ecosystems around the world. IMO – the International Maritime Organization – is the United Nations specialized agency with responsibility for the safety and security of shipping and the prevention of marine pollution by ships. A​​s a specialized agency of the United Nations, IMO is the global standard-setting authority for the safety, security and environmental performance of international shipping. Its main role is to create a regulatory framework for the shipping industry that is fair and effective, universally adopted and universally implemented. Marine Affairs Research and Education (MARE) is a unique organization. With clients in more than 120 countries, it is dedicated to serving coastal and marine resource managers worldwide with programs to help them network with their peers, no matter their location or financial means. 3) promoting a greater awareness of values on mountain protected areas among the international community. Ocean Conservancy is working with you to protect the ocean from today’s greatest global challenges. Together, we create science-based solutions for a healthy ocean and the wildlife and communities that depend on it. OceanElders is an independent group of global leaders who have joined together to serve as a catalyst in the conservation and protection of the ocean and its wildlife. These individuals use their collective influence, supported by science and data, to promote ocean conservation, pursue the protection of the ocean’s habitat and wildlife, and preserve its ecosystems and species biodiversity. The Ocean Legacy Foundation has a primary mandate to research, educate and demonstrate the socio-economic and environmental benefits produced by managing plastic material streams that are treated as part of our Urban & Remote Waste Plastics Program. These objectives will be undertaken using environmentally sustainable Best- Practice strategies with proven technologies that are available to The Ocean Legacy Foundation. The Ocean Sanctuary Alliance (OSA) is a partnership of nations and leaders from across disciplines, whose mission is to restore and sustain the world’s ocean by securing global and national commitments to establish marine sanctuaries, ensure responsible fishing, and related efforts. OSA is committed to helping fulfill the promise of SDG 14 to regenerate the fish stocks of the Ocean for the benefit of all humankind. Oceana seeks to make our oceans more biodiverse and abundant by winning policy victories in the countries that govern much of the world's marine life. Oceans 5 is an international funders’ collaborative comprised of new and experienced philanthropists dedicated to protecting the world’s five oceans. We focus our investments and support on large, opportunistic projects and campaigns to establish marine reserves and constrain overfishing. The Okeanos – Foundation for the Sea was founded in 2007 by Dieter Paulmann, who has been a passionate private underwater filmmaker for nearly 40 years. The Foundation has made it its task to, above all, promote science and improve the communication of scientific findings, and through this to increase our awareness concerning the various threats our oceans are facing, future challenges, new solutions and positive examples. 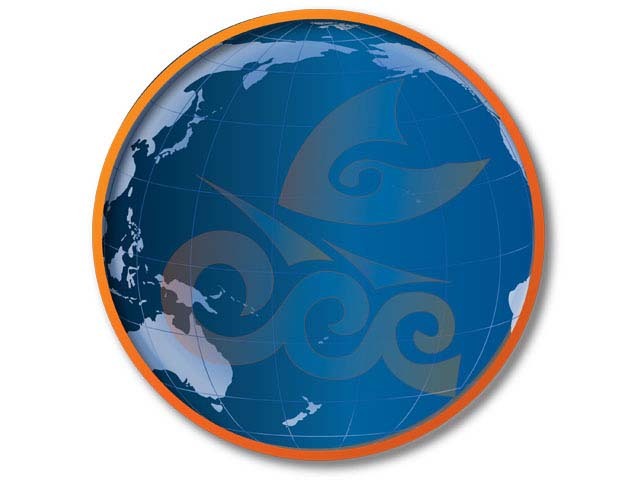 Establishing the Pacific’s first and truly representative and participatory platform on the Green Economy. Empowering the People of the Pacific as primary stakeholders in their development through the green economy to initiate the process and make joint decisions about its outcome. Giving value to voices never heard at this level of decision making in the Pacific. Empowering the people of the Pacific to handle challenges and influence the direction of their own lives through the green economy. The National Geographic Society's Pristine Seas project identifies, surveys, protects, and restores the last truly wild places in the ocean. Through exploration, scientific research, economic and policy analysis, and outreach, Pristine Seas works to establish marine reserves where marine life can thrive—while ensuring that they will be effectively managed for years to come. Pristine Seas partners with heads of state, local governments and communities, NGOs, and business leaders. The Convention on Biological Diversity's Programme of Work on Protected Areas (PoWPA) provides a globally-accepted framework for creating comprehensive, effectively managed and sustainably funded national and regional protected area systems around the globe. The Pacific environment, sustaining our livelihoods and natural heritage in harmony with our cultures.